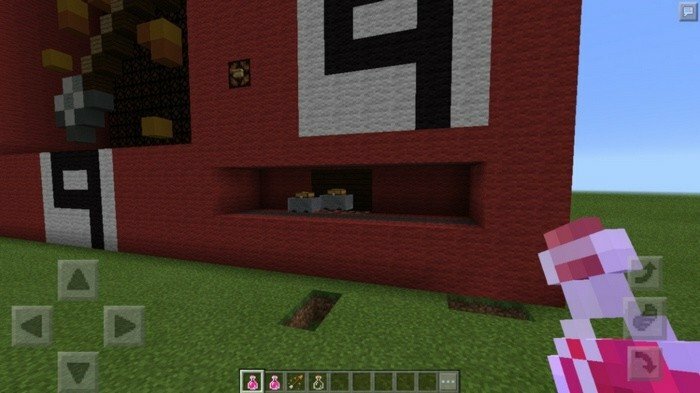 Have you ever dreamed of vending machine in Minecraft, that can give useful resources? 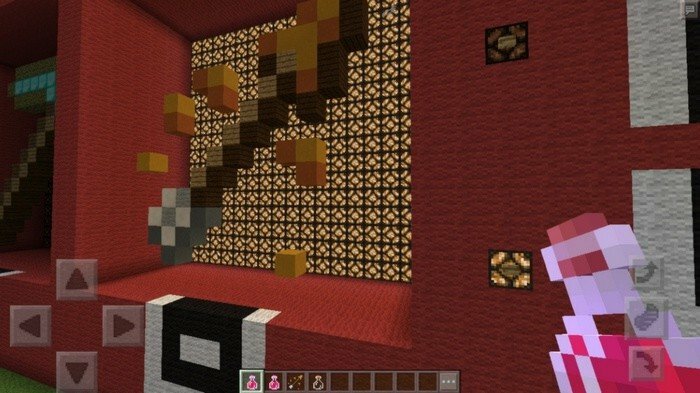 That giant monster were built in creative and made to work by simple redstone scheme. 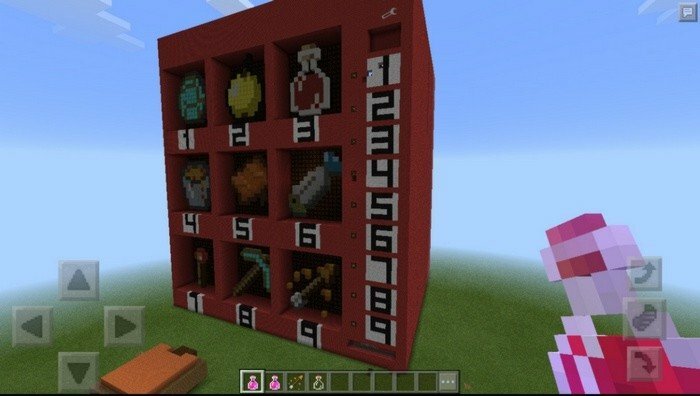 To get something from vending machine, you will need to take a bunch of gold nuggets at the starting point and put them into the hoopers at the top of machine, then choose items you want to get and press the button with appropriate number.